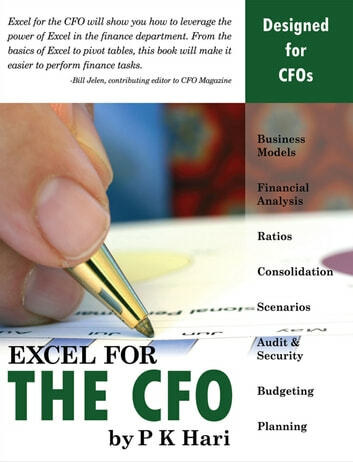 Written specifically for finance managers, Excel for the CFO explains the best features of Excel that allow for the automation of regular processes and help reduce the processing time spent on analytics. The book explores the entire gamut of finance-related functions and is focused on practical approaches to using Excel—including Pivot Tables, Goal Seek, Scenario Builder, and VBA—in problem solving to deliver quality results. Using case studies across all types of organizations to demonstrate the application of Excel-based automation, the scenarios covered include the automation of financial analysis models, the creation of income statement and balance sheet templates, converting numbers to words for check printing, and much more. Any finance executive who manages the company’s business affairs and makes critical decisions by analyzing data would be directly benefitted by using the tips and techniques presented in this guide.